For many of us, there are plenty of times when we don't want a full foundation base, especially for everyday. I haven't managed to find much success with BB creams and tinted moisturisers and usually get on a lot better with light coverage foundations. This L'Oreal Glam Beige Healthy Glow Foundation ($24.95) is just the thing when I want to have very natural makeup that is lightweight but still perfects my skin. This is definitely one of those watery foundation formulas that is so lightweight, you really can't feel it on the skin. 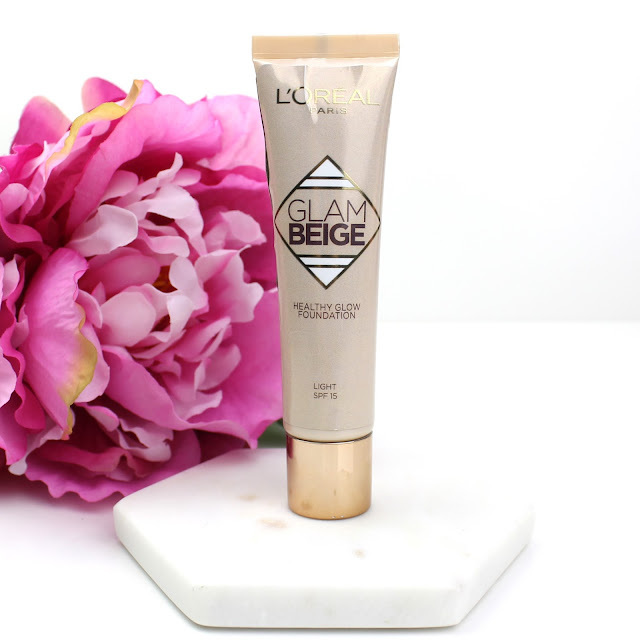 It claims to be the perfect summer foundation for a fresh, sunkissed summer face and I would definitely agree. 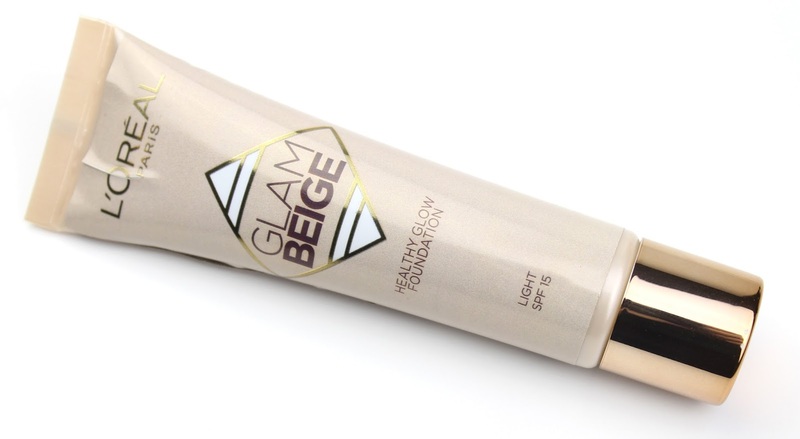 It has a light coverage that can be built a little bit to something approaching medium coverage. 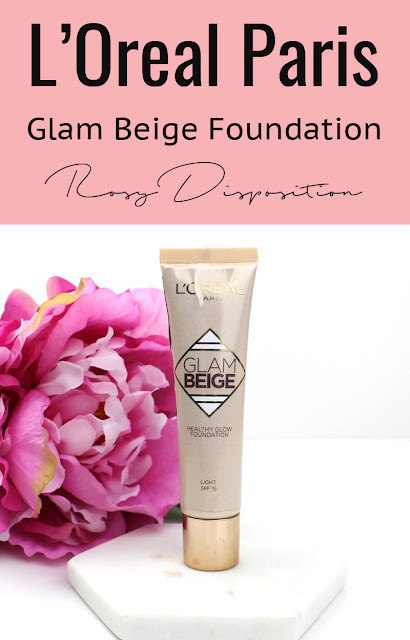 It also has light reflecting pigments in it which are invisible to the eye, but does give this foundation a healthy, glowing finish but I wouldn't say it is especially dewy. It is closer to a satin glow. The application of this product was really easy too. Even with my dry skin, I found it applied smoothly and easily with fingers, a brush and a Beauty Blender. As a water based foundation, it does dry down fairly quickly but not to the point where it is difficult to blend or work with. Basically, the application is another reason it is great for everyday because it is quick, easy and fuss free. I did get a little bit of flashback, as you can see, in the completed makeup photo which isn't surprising because it does have a SPF of 15. I didn't wear sunscreen or any other SPF during 5 days of foundation so any flashback you see is the foundation itself. Overall though, it actually is a pretty decent shade match which is pleasantly surprising because even the light shade looks very dark right out of the tube. Apparently has self-adjusting properties, which I've never understood to be honest, but it seems to work a little bit. The overall shade range is pretty limited and I don't think I would be able to use the lightest shade if I wasn't fake tanning. 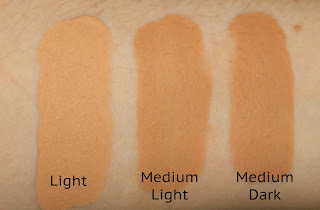 There are only 3 shades: Light, Medium Light and Medium Dark. I was lucky enough to be sent all the shades so I can give you comparison swatches. I honestly have no idea why the made two shades so insanely similar. 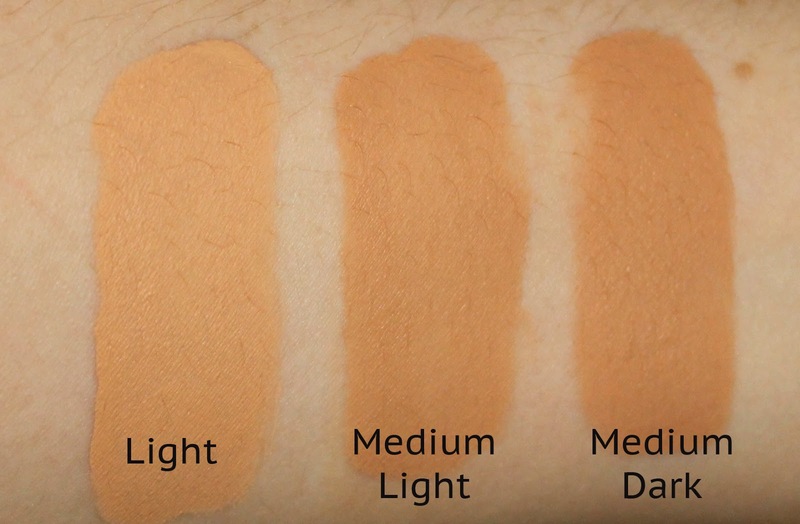 I think the would have been much better off truly spreading the shade range across light, medium and dark that you could even mix if you needed to, as apposed to just creating 3 fairly similar shades of medium. Finally, the longevity was really quite good on my dry skin. 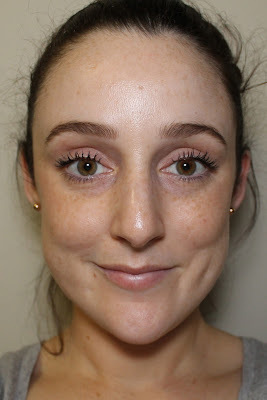 Again, I can't comment on how it would wear on more oily, combo skin, but on mine it stuck around for the entire day and didn't wear off in weird patches. Obviously, some of the coverage did dwindle because it isn't a long wear formula, but I am more than happy to wear this for an entire day. 9 hours of wear. Ignore my crazy hair! So there you have my thoughts. Long story short, I really like this foundation as a lighter, everyday option. I can definitely see myself wearing this a lot over the summer, especially since I am headed to a place that routinely hits 40 degrees in December/January. I certainly think the shade range could be way better, but I think it is a great foundation that is really inexpensive because you can always pick up L'Oreal for up to 50% off if you keep a look out. Let me know if you have ever tried this foundation or if you plan to after this review. 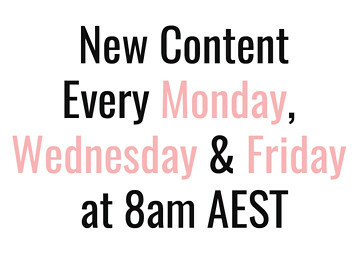 Also, I would love to know what your favourite lightweight, everyday foundation formula is, so leave a comment down below. Disclaimer: This foundation was sent to me as PR gift to try without any obligation to review it or say nice things. As always, my opinions are my own. 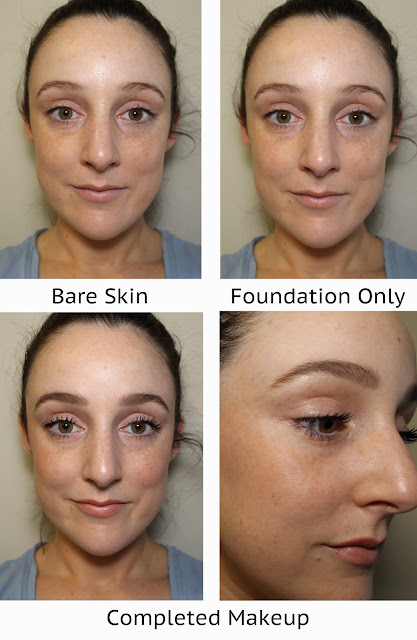 16 comments on "5 Days of Foundation: L'Oreal Glam Beige Healthy Glow Foundation"
I've been intrigued by this one too. I love the idea of it, but the shade just doesn't suit my skin. I wish it was a little less orange! Yeah, I can definitely only use it with a little bit of gradual tan on. I wish they thought there shade range though a lot more. It looks like a beautiful natural foundation. I'm just so disappointed with the shade range, why is there only 3? It definitely is a bit of a bummer, especially when two shades are basically identical! 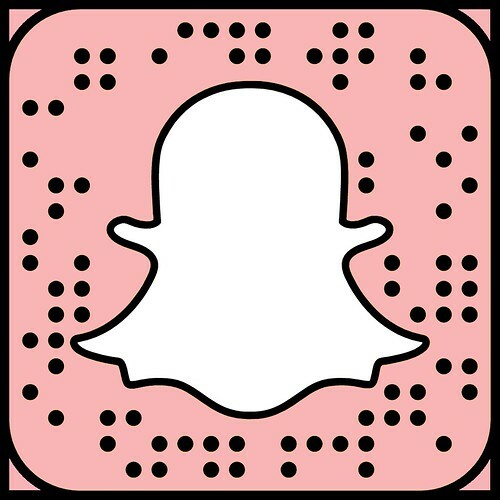 It looks very natural on you! You are indeed glowing, love the finish on you. The packaging of the foundation is pretty too. Would love to check this out in store. Definitely do! Especially when L'Oreal is on sale as it so often is. I know! I'm pretty lucky with my skin as far as wear time goes but it still lasts better than most on my drier skin. This looks perfect for everyday! I wish it came in lighter shades! Gosh, me too! I can only use it when I'm fake tanning. This foundation seems to have left my skin with a permanent colour. Is that to be expected and how long before it wears off?